Aqua Mekong river cruise ship from Travel Indochina. Leading Asia specialist, Travel Indochina, has added four top class river cruises that will take you sailing throughout Vietnam and Cambodia, Burma, and India. 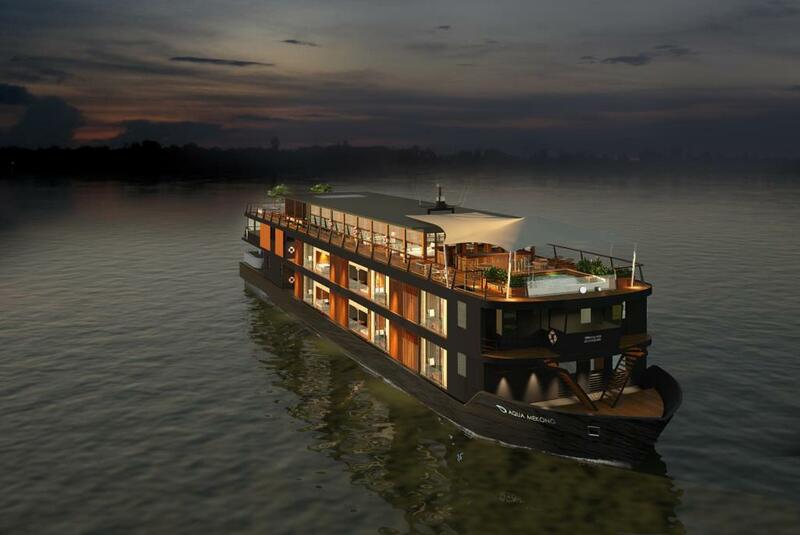 New for 2014-16, Travel Indochina has added the Aqua Mekong to its Luxury Asia River Cruising portfolio. Said to be the first true small luxury cruise ship to sail up and down the Mekong River between Vietnam and Cambodia, the Aqua Mekong offers 20 cabins, cuisine created by a top-ranked chef, and complimentary wine, local beer and soft drinks. 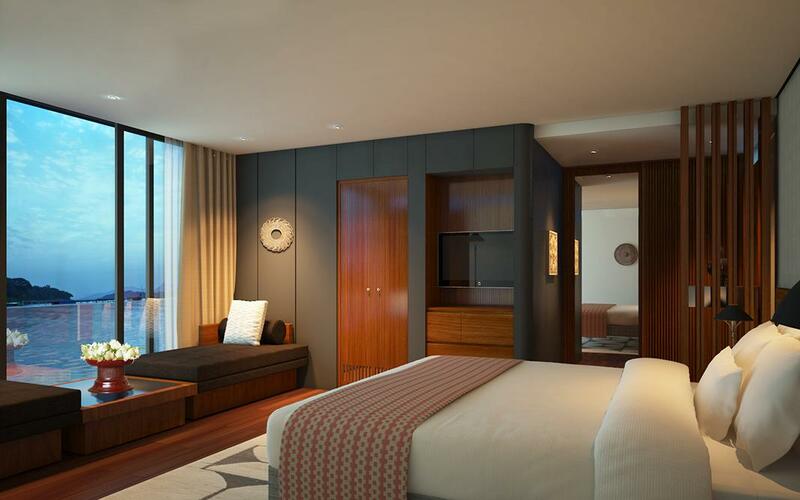 It is the only ship on this stretch of the Mekong River to offer a fully-equipped fitness centre, library, outdoor evening cinema, observation deck and a river-facing pool at the bow. The cruise will set sail from bustling Saigon to Phnom Penh or Siem Reap, gateway to the majestic temples of Angkor, offering cruise and tour packages varying in length from 8 to 12 days. The specialist operator has also introduced two brand new river boats in Myanmar (Burma). The Irrawaddy Explorer will sail the Irrawaddy River once it takes its maiden voyage in September, with Travel Indochina chartering specific departures. Meanwhile the Sanctuary Ananda, a deluxe all-suite cruiser, will take its first sailing in November. Both vessels will offer an intimate cruising experience with just 28 and 21 cabins respectively, and 12-day itineraries that lead passengers on enchanting journeys between the untouched regions of Mandalay and Yangon. How about luxury sailing along the Ganges? Lastly, Travel Indochina will launch a new India river cruise in January 2015. The Ganges Voyager I is an all-suite vessel that exudes elegance with a British-colonial design and modern facilities that equal the most sophisticated five-star hotels in India. Guests can experience life along the Ganges, sailing in total elegance through Calcutta and rural countryside villages on the lower Ganges, before flying to spiritual Varanasi and continuing to the Golden Triangle with a memorable visit to the Taj Mahal, on a 15-day journey of discovery. Travel Indochina’s new 2014-16 Luxury Asia River Cruising brochure is available to view and download online. For more info you can head to www.travelindochina.co.uk.